Born and raised right here in Sarasota, Kevin Wiegand is a Realtor who truly knows his market area. Add to that his years of experience in residential sales, property management and customer service, and you have an accomplished professional at the forefront of local real estate. Kevin initially entered the real estate industry in 2005, before transitioning to a management career with the Ritz-Carlton... more., Sarasota – a luxury resort renowned for its dedication to exceptional customer experiences. Seven years later, his passion for real estate led him to a position with Argus Property Management, where he managed multiple condominium communities throughout Sarasota, before returning to his roots in residential sales. 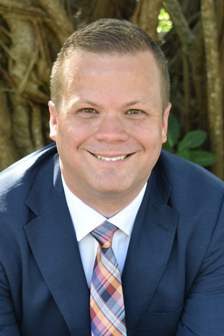 With a personal touch, genuine caring and desire to maximize opportunities for both buyers and sellers, Kevin specializes in investment properties, condominiums and HOA communities throughout Sarasota and beyond. Kevin and his wife are delighted to be raising their two children, Ian and Adelaide, here in Sarasota, and love life so close to the water. ...less.